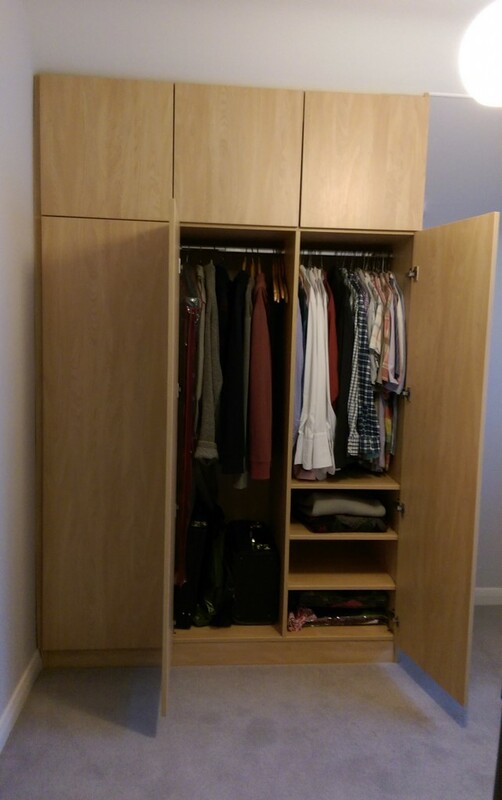 Bernard in Kent designed this angled wardrobe in (light Montana) oak. 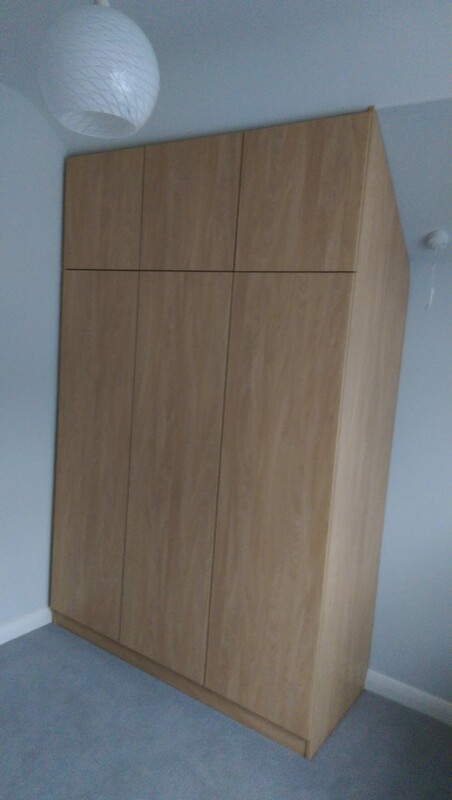 This cabinet is angled in the depth. 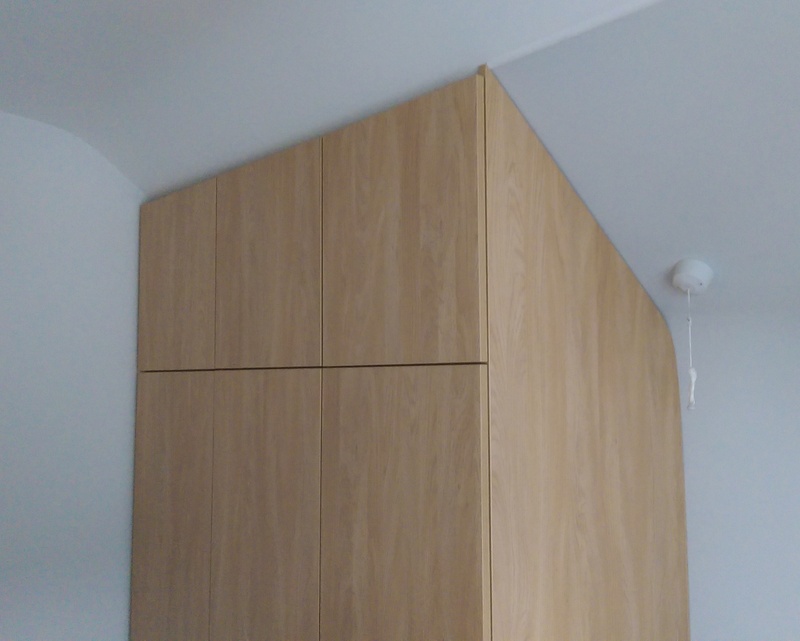 At the top of the angle rather than ending to a point, we create a flat section so that the doors lie flat on the carcass at the top of the cabinet. Hanging rails house longer clothes as well as shirts which leave space for shelving below. 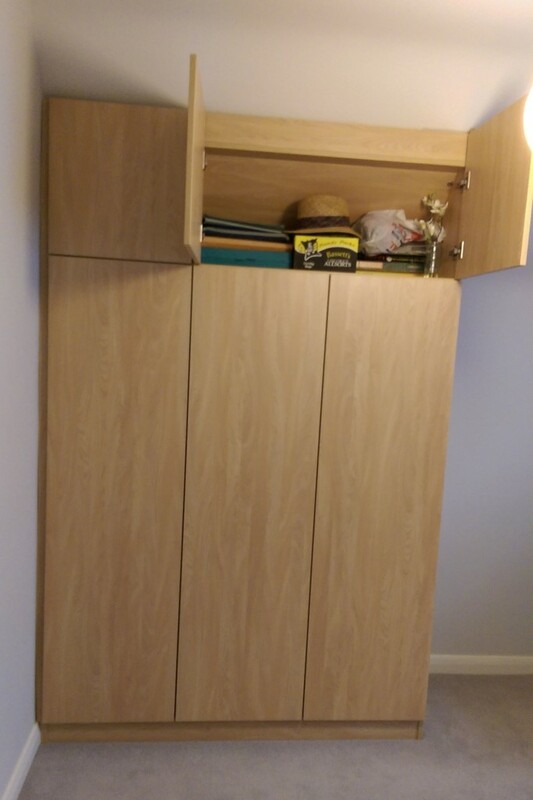 This design is structured as two cabinets; one two-door and one three-door. 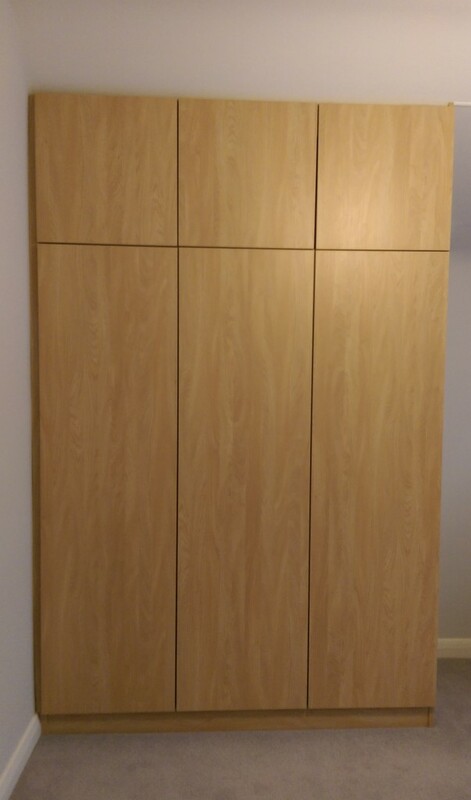 By splitting into two cabinets, each door is kept to a workable width and the respective cabinets can be allocated to either shelving or hanging. In the factory we cut a single plinth piece to span both cabinets.